Amidst rumors that he is being hunted by other corporations in need of solid management, Ford Motor Company CEO Alan Mulally has stated that he plans to continue leading the automotive giant through at least 2014. Rumors have been floating around the automotive world for some time now that Ford Motor Company Chief Executive Officer Alan Mulally is nearing retirement from his position atop the booming American automaker. Mulally is 68 years old now and having served as the company’s leading man since taking the position over from William Clay Ford Jr back in September 2006. Mulally has now put in 7 years of quality management service and under his watch, Ford Motor Company climbed from one of its worst financial positions in decades. The Motor Company’s succession plan that was introduced late last year showed that the boss would be sticking around through the end of 2014 but with Mulally nearing 70 years old, Ford doing so well and a very capable Mark Fields seemingly waiting in the wings to claim the role of CEO – many believed that Alan Mulally’s time at Ford is quickly coming to an end. On top of those three factors, insider sources suggest that members of the Ford Motor Company Board of Directors are prepared to let Mulally step down from his CEO position with the automaker to either retire, or pursue other options. The rumors of Mulally’s departure were magnified when current Microsoft CEO Steve Ballmer announced on August 23rd that he plans to vacate that position sometime in the next year. With Alan Mulally doing such a good job in running Ford Motor Company on a global level, his name immediately became associated with the soon to be vacant position atop Microsoft. However, is Ballmer plans to leave within the next 12 months and Mulally plans to stay with Ford through the end of 2014 – that means that Microsoft would either have to convince their current CEO to hang around until Mulally was available or they will need to look elsewhere. Of course, there is also the possibility that Microsoft names a current management team leaded as CEO until Mulally is available but if he isn’t wiling to leave Ford Motor Company early to accept the role with Microsoft, the computer firm may go after other candidates. Inside sources have also indicated that Mulally is more interested in another high profile management position with a new firm rather than retirement. 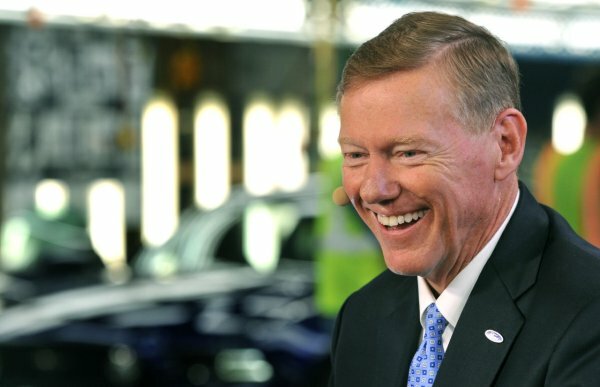 Having turned 68 back on August 4th, you would think that Mulally is nearing the age where he would like to kick back and enjoy the wealth that he has earned in running one of the world’s biggest companies but it seems that he is more likely to take up a position elsewhere when his time at Ford has ended. Some rumors have suggested that Mulally may step into an unnamed role with the Obama administration and while politics might seem like an odd jump – perhaps he could help slow the progress of the United States national debut. In any case, it appears as though Alan Mulally will be running Ford Motor company for no less than the next 16 months and when he steps down, very little may change as the man slated by most to take over is long time Ford President of the Americas Mark Fields. Fields worked closely with Mulally as the management team helped Ford avoid the same financial issues as the other Detroit automakers so in Mulally’s departure – Mark Fields could keep the Motor Company on the path original plotted by Alan Mulally.